Basic Handgun Proficiency will be held Monday and Wednesdays May 11 to May 20 from 6- 8 pm. This class will be taught by Sgt. Patrick Connelly with the Torrington Police Department with the cost of $40 Basic Handgun Proficiency or $60 for the concealed carry class. Whether you are simply wanting to develop or improve your handgun safety skills and proficiency, or intend to apply for a Wyoming Concealed Carry Permit, this class will meet your needs. TPD Sgt. Connelly will provide instruction on core fundamentals of handgun safety, proper handling, transportation and storage, as well as handgun shooting specifics such as proper stance, correct grip, sight alignment, proper trigger press, and sight picture. All participants in the class will experience 1 session of classroom instruction and 2 live-fire range sessions. 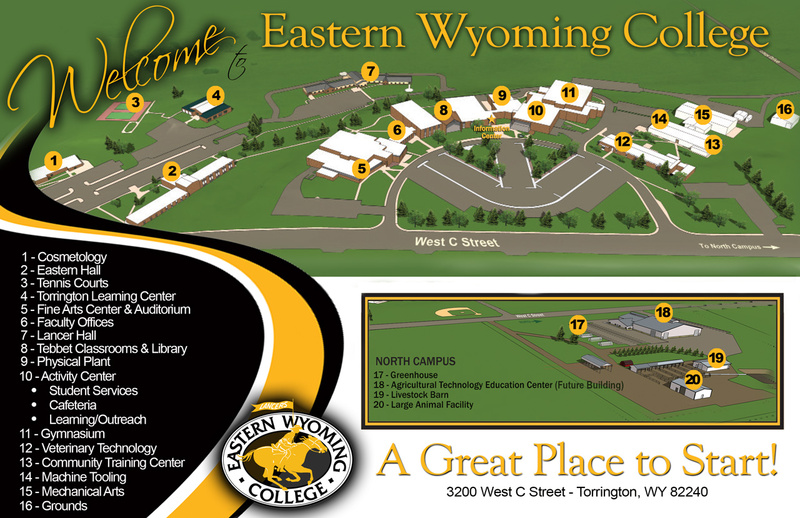 Eastern Wyoming College will once again host a Job Expo on Wednesday, April 8th in Torrington, Wyoming. Over 30 employers are expected to participate at this Job Expo and it is free and open to the public. The Job Expo will begin at 10 am in the Gymnasium at the College, and will continue until 2 pm. Attendees should come prepared with a resume and be prepared for an interview. Currently registered participants include St Joseph’s Children’s Home, Cost Cutters, Animal Health Center, Wyoming Machinery Company, Welcove/Goshen Health Care Community, University of Wyoming, Wyoming Medium Correctional Institution, Department of Workforce Services, Dillard’s Aveda Salon, KNEB Radio, Lowe’s Distribution Center, Wyoming Highway Patrol, KOTA Territory News, Banner Health, Ft. Laramie Historical Association, Goshen County School District, Parker, Vertex Business Solutions, Western Nebraska Veterans Home, Wyoming Veterans Commission, Simon Contracting, Strobel Starostka, Advance Services, Nio-Test, Wyoming Child and Family Development, Westco, City of Torrington, Western Sugar, 21st Century Equipment LLC, Century Lumber, Auguste Escoffier (culinary arts school), and many more. These companies are recruiting for a wide variety of positions including stylists, accounting clerks, manager trainees, veterinary technicians, welders and mechanics, detention and correctional officers, c-store cashiers, and health care providers. There is still an opportunity to register your business or company to participate. This year’s Job Expo is sponsored in part by KOTA. Please contact Jo Ellen Keigley at 307.532.8288 to register or for more information. The Eastern Wyoming College Foundation, and Premier Sponsor C H Brown Family presents nationally recognized singing cowboys The Bar J Wranglers. This performance will take place on Wednesday April 8, 2015 at 7:00 p.m. in the EWC Fine Arts Auditorium in Torrington, Wyoming. Tickets are on sale now for $20. Tickets may be purchased at Pinnacle Bank, Platte Valley Bank, Points West Community Bank or the EWC Office of Development. Some folks call it a western music show; some call it a stand-up comedy show with masterful cowboy music; others call it the best musical experience in the west. Call it what you want to — the fact remains; The Bar J Wranglers from Jackson Hole, Wyoming, deliver some of the purest harmony, best musicianship and funniest ranch humor ever seen on stage. As soon as the Bar J Wranglers take to the stage, listeners leave behind their busy life and settle into a time long ago — a time of the singing cowboy. Additional corporate support provided by: Pinnacle Bank, Platte Valley Bank and Points West Community Bank. The last time the Bar J Wranglers were in town it was a sell-out. Individuals are encouraged to purchase tickets right away. For more information or to purchase tickets, call the EWC Office of Development at 307.532.8397. The Community Education office at Eastern Wyoming College in Torrington is now accepting enrollments for the following Social Media classes. “Do you Facebook?” A question frequently heard these days . . . easy answer, most people say “yes”. Next question, “Do you use Facebook to its fullest potential?” Not as easily answered. With frequent updates and new options, it is difficult for the casual Facebook user to keep up. You could spend lots of your time searching the internet looking for information on these updates and options, analyzing how they can serve your needs, or you could take this class. Let instructor Robert Goodall summarize and instruct you on how to best take advantage of what Facebook can do for you. He will review things like “Trending”, “Rooms”, “Safety Check”, News Feed”, “Say Thanks”, “A Look Back”, “Nearby Friends”, and “Privacy Checkup”, just to name a few. Even if you are a Facebook Newbie, this class is perfect for you! This class will be Monday, March 16 from 6:00-8:30 pm in Tebbet room 273 and cost $25. Small business owner, does your marketing plan include social media? Whether you are new to the idea of social media marketing or you’ve toyed with it a bit, you must put this class on your schedule as a way of keeping your marketing plan current and effective. Upon completion of this hands-on class you will have a strong foundation and understanding of the different social media avenues, how to read and understand social media analytics, and how you can use social media to better market your business. Terms such as trending, geotargeting, selfie, and hashtag will no longer be foreign to you, Twitter and Facebook will move from a family and friend communication tool to an integral part of your business marketing. You will find the social media network that fits you and your business. This is the perfect class for established as well as start-up businesses. Some experience with social media, particularly Facebook is recommended. This class will be held on Monday/Thursday March 23, 26, 30 and April 2 in Tebbet room 273 from 6:30 – 8:30 pm and cost $45. To register for these or any other classes please call the Community Education office at 307.532.8213.